Production of proper type of package materials on optoelectronic devices are very popular and highly demanding today. 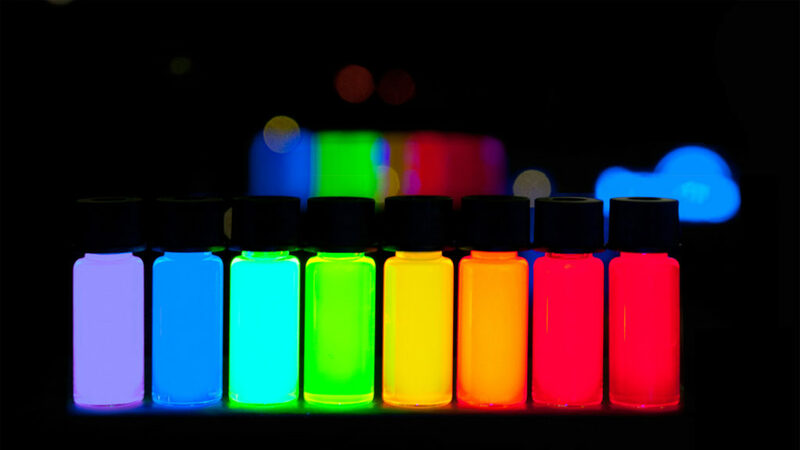 We are developing III-V compound quantum dots (QDs) which have the capability to shine at specific wavelengths when they are illuminated by, for example, an LED’s intrinsic blue light. When these QDs are mixed with epoxy or silicon based pre-polymers and followed by curing and shaping, one can obtain desired package materials with proper refractive index properties. 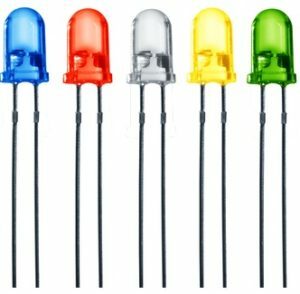 Highly tunable luminescent properties, easy and economical and environmental friendly production route are of our concern. Current research in IMER Research Group related to Nitride LEDs is focused on GaN compound semiconductor devices where GaN constitutes great importance today due to its highly desired band gap properties. Specifically, we are trying to solve a game- changing problem in GaN LEDs which is to develop highly transparent and yet conductive electrodes on p-doped GaN semiconductors. Nowadays, we are highly motivated to develop nanowire and oxide based transparent conductive electrodes on p-GaN. A significant improvement in this sense that we are going to accomplish will enable us to obtain high quality ohmic contact on GaN LEDs so that a blue light-emitting LED device will be able to be operated between very low and very high voltage range in a linear fashion giving rise to highly tuned current-voltage characteristics. This is very important as it will enable one to increase or decrease amount of light emitted from LED device at low or high current excitations without significant loss of power and under highly controllable manner.